At Chime, we love hearing from our Members. Your feedback motivates us every day to design a bank account that helps you take better control of your finances and get ahead. A bank account that gets you paid up to 2 days early. Free to sign up and takes less than 2-minutes. 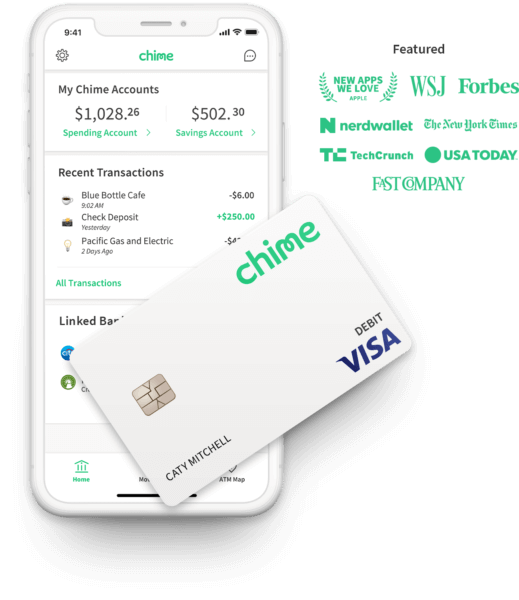 We often hear that one of our Member’s favorite reasons for banking with Chime is that that they are able to get paid early* (up to 2 days earlier than traditional banks) with Early Direct Deposit. It’s easy to see why: who wouldn’t love getting paid before their coworkers or having money in the bank before the rent and other bills hits? Getting paid early gives you two more days to plan more, save more, and do more with your paycheck. Curious about how we make the magic of Early Direct Deposit happen? Here’s how it works – and why it makes Chime different from other traditional bank accounts. What is Early Direct Deposit and How Do I Get Paid Early? No waiting for your money while it sits in some mysterious electronic limbo and no more paper checks lost in the mail. Your money is available when your employer sends the funds. That means you could have your paycheck in your Chime Spending Account up to two days earlier than everyone else at work. Traditional banks often sit on your money for two days prior to paying you; using it to make interest off of your money. At Chime, we’ve changed that. When your employer processes payroll, they submit files to the Federal Reserve notifying them how much each employee will be paid that week. The Federal Reserve sends that information to us every day to let us know how much and when you’ll be paid. Instead of waiting until your payday to deposit the funds, we make that money available as soon as we receive the notification. For many Chime Members, we receive a notification on Wednesday for a Friday payday (which means Chime Members are getting paid two days earlier than everyone else at the office). What time does Early Direct Deposit go through? Direct Deposit times depend on when your employer submits their payroll for all employees to the Federal Reserve. While many employees expect to be paid on the 15th or the 30th of the month, many times your employer has already submitted payroll on the 11th, 12th, or 13th of the month. When you bank with Chime, we give you your paycheck as soon as we are notified by the Federal Reserve that payroll has been submitted. Therefore, your Direct Deposit will go through and be available in your account often two days earlier than most traditional banks. The time of day may vary based on when Chime, the receiving financial institution, actually receives the notification that confirms payment details. How do I get Early Direct Deposit? One of the best ways to fund your Chime Spending Account is to set up direct deposit with your employer. Setting up direct deposit automatically makes you eligible for Early Direct Deposit with Chime. Setting up direct deposit also enables the ability for you to save more aggressively by automatically moving 10% of every paycheck into your Savings Account through our optional Automatic Savings program. If you haven’t set up direct deposit to your Chime account yet, it’s simple to do – just open the Chime app, select Move Money, and tap Direct Deposit. We’ll email you a pre-filled direct deposit form that you can hand over to your employer. It’s that easy. Other banks receive the same notifications from the Federal Reserve, and they also have the ability to deposit your paycheck earlier. But for some reason, many don’t. At Chime, we believe that you should have your money as soon as possible. We’re committed to making banking faster and building services that are in our Members’ best interest — not just for the sake of profit. *Faster access to funds is based on comparison of traditional banking policies and deposit of paper checks from employers and government agencies versus deposits made electronically. Direct Deposit and earlier availability of funds is subject to payer’s support of the feature and timing of payer’s funding.